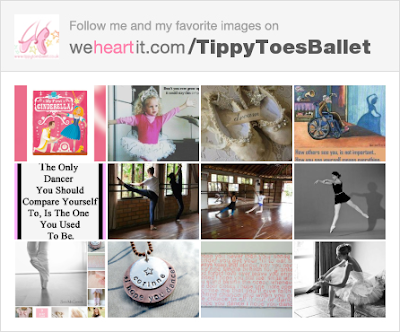 Tippy Toes Ballet Blog: We heart it! If you haven't already signed up to We heart it, we would definitely recommend you do! It is very similar to pinterest but a lot prettier to look at, and we have found so many lovely ballet photo's on there already. Who can resist?! All you have to do is go to http://www.weheartit.com to sign up, then you can add a button to your browser. Once you have the heart button, you can heart any photograph you come across on any website and catalogue them all in the one place. You can link up with your friends, or people with similar interests. If you want to collect all of your favourite ballet images in one place, this is definitely the place to do it.